With all the attention focused on handset maker Xiaomi and its cheap yet remarkable phones, it is easy to forget that it is not the only China brand in the smartphone space. 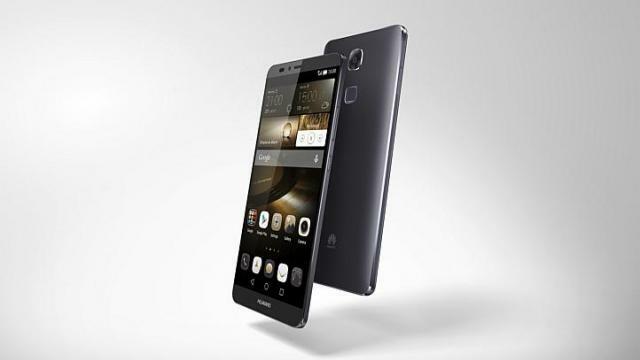 Huawei, the other name in the Chinese smartphone arena, hopes to remind everyone of that with its Ascend Mate 7 phablet. Gone are the trappings of budget devices, as Huawei appears to have poured much effort into creating this particular phone. Maintaining good aesthetics is not new to Huawei. With the MediaPad X1, it had already shown off its ability to craft a tablet in a metal shell last year. The Ascend Mate 7 has an aluminium alloy body that is light and cool to the touch. Given the 6-inch screen, one would expect some unwieldy heft but the company has shrunk the bezel and produced a thin and beautiful device. The full high-definition screen is a delight to view. While it lacks the colour brightness of Samsung's Amoled displays, details are sharp enough and impressive for a large display. But the phone's most impressive feature is the fingerprint sensor, something only Apple has managed to work into a phone. Located in the rear, just under the camera lens, the sensor works as well as the iPhone's, if not better. There is no need to wake the phone first, as a tap on the sensor wakes the phone immediately. Storing a fingerprint is also just as easy, as multiple taps on the sensor will record and store it. There is no need to use one hand to hold the phone, and another to swipe or press a finger against the sensor. For those able to hold the phone with one hand, positioning the sensor in the rear means it is finally possible to use the sensor and then use the phone with one hand, without repositioning the device. Performance-wise, the phone uses Huawei's own chipset. In the Antutu Benchmark test, it clocked 43,697, better than last year's LG G3 (35,497) flagship phone, but below that of the Samsung Galaxy Note 4 (47,144). Though it has a 13-megapixel camera, the images lack the vibrancy of the original. In low light, the phone's software attempts to sharpen the final photo. This takes about one more second to complete, but the final shot does look better. Because it is quite large, it can be placed on a couch or table so you can watch videos. Positioning the speaker in the rear is, therefore, something that its designers might want to relook.